Documenting the Human Reality of Child Soldiering. We who have heard about the pandemic of Child Soldiers rarely get to witness the reality of these children's plight. How did a gun end up in this child’s hand? Who gave it to them and why? How does that child feel after killing? We want to answer those questions and more.Project: AK-47 is working in partnership with Metronome Pictures to tell a story through a film/documentary about what it is to be a human in a world of vengeance. When a child is intentionally and strategically abused, it is easy to fix our attention on an act of violence that the child experiences. But what about the moments alone, when the child begins to believe what he has been told? It’s not necessarily the fist to body interaction that is so damaging to a child; It’s the human-to-human, soul-to-soul interaction that defines the life of a child. In this film, we have made it our goal to investigate and reveal the human element that surrounds the issue of Child Soldiering. The film will focus on the stories that are coming out of Project: AK-47’s new operation in the Philippines. It has been unofficially titled, Buhay: Shells of Hope.Buhay is the Tagalog word for Life, which paints the backdrop for the documentary: The life that is taken from a child and replaced by vengeance. Hope is taken and replaced by a gun. When the gun is fired, the shell that contains the bullet is ejected. Often, this is seemingly what is left of these children, an empty and forgotten shell. 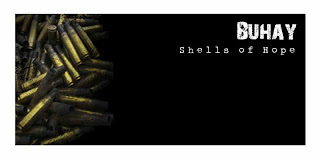 We’re telling their story because we know these shells can be filled again.